There are currently so many social media sites in existence that oftentimes it is difficult to know which one or ones a small to medium sized business should focus on. Ideally it would be best to be able to focus on each one of them, or at least the top 5-10. However, many small businesses find that a very cumbersome task. They just don’t have the time and energy that is required to be fully engaged across all the major social media platforms. It’s not time to despair however because a small business can focus their energies on what is most productive for their business. 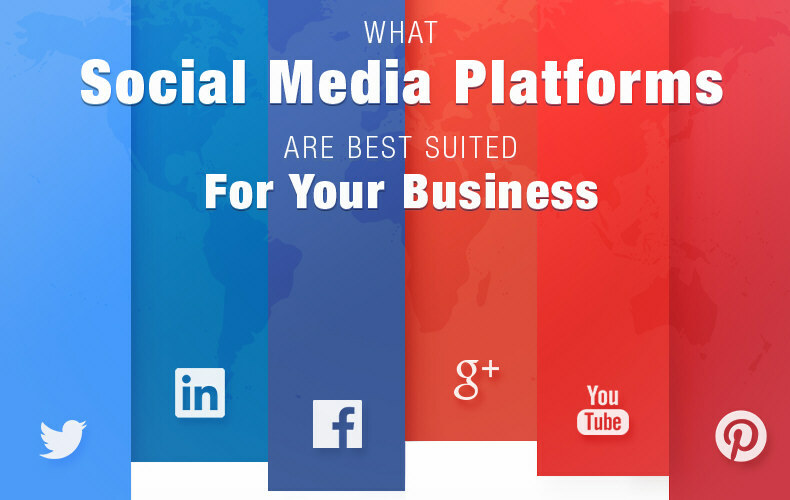 The following infographic from Quicksprout takes a look at six top social media platforms and analyzes what types of businesses are best suited for each platform. Even if your particular business is not included below, you will find interesting statistics related to each social media property. Consider these when planning your social media marketing strategy.